Letterpress imprinting is about as traditional as you can get in the world of printing. Gutenberg gets the credit for it, but the Chinese were doing it long before he was born. At Kinker Press, inc. we are keeping this traditional form of printing alive. Using our Heidelberg Windmill presses, we are able to firmly press each specialty die in to the surface of the area being printed. This process allows the ink to fill in the impression, creating a beautiful and elegant printed piece. Letterpress imprinting allows you to not only see, but also feel the imprint of your design on the paper. 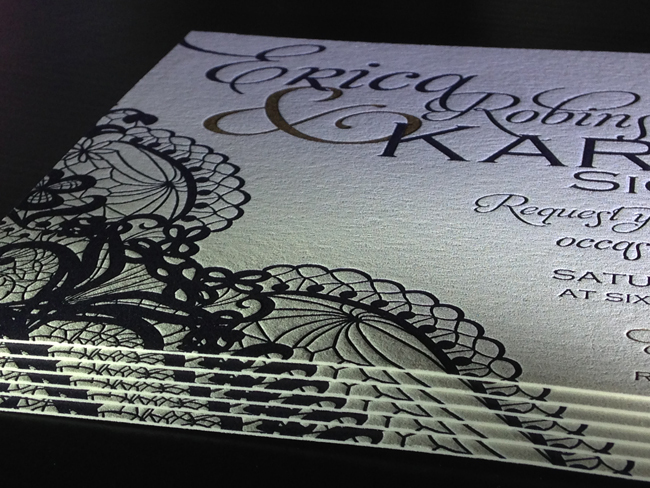 Let us know how we can help you or better yet, stop by so we can show you the art of letterpress imprinting.